Allows full movement on the tierod-end, reducing bindage when steering or shifting. Sold individually or by 10-pack. Grade 5 titanium. Ultra lightweight, 47% lighter than steel, corrosion resistant, reduce overall weight. 40mm diameter, 2mm thick. Grade 5 titanium. Ultra lightweight, 47% lighter than steel, corrosion resistant, reduce overall weight. 50mm diameter, 2mm thick. 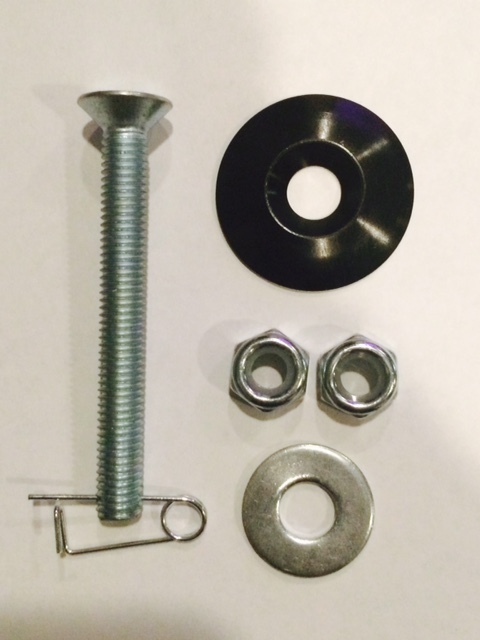 Titanium Low-Profile Seat Mounting Kit made of high quality Grade 5 titanium, fully machined from the head to the threads. Ultra lightweight, 47% lighter than steel, corrosion resistant, reduce overall weight. Limited Lifetime Warranty. 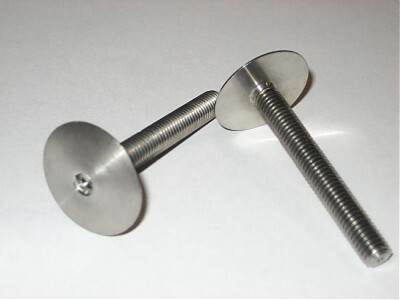 Class 8 Zinc-Plated Steel Conical-Top Locknut Hex, M8 Screw. 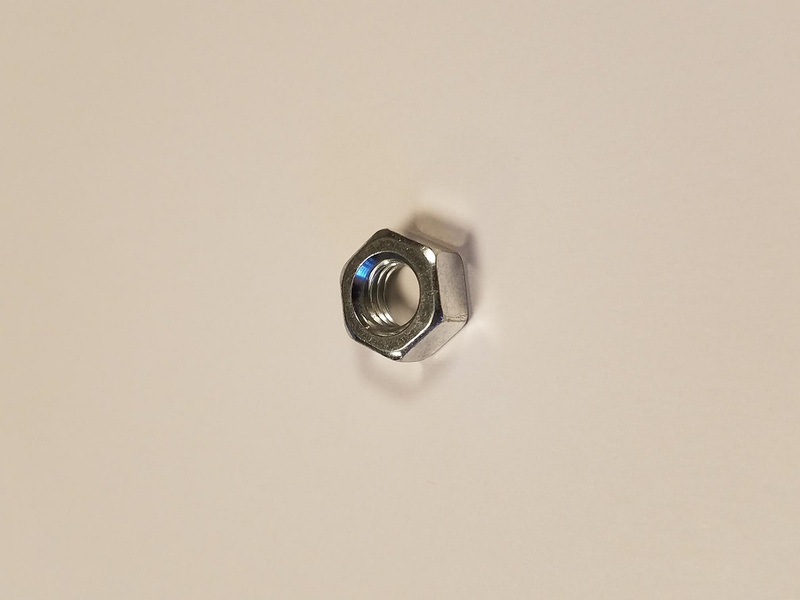 Metal locknuts used on brake rotors. Not effected by heat. Used on the tie rod end. 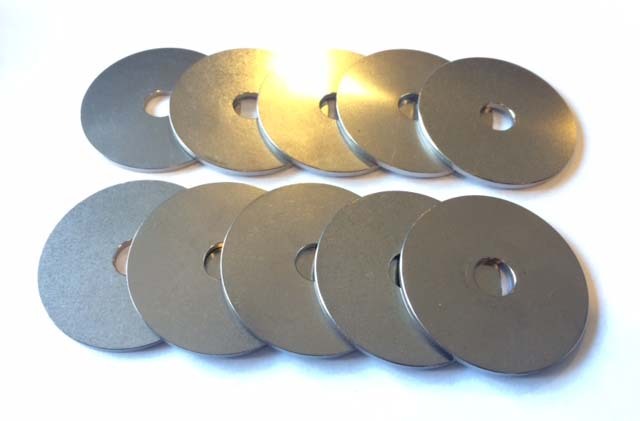 Metric Copper Flat Washer M8 Screw Size, 8.4mm Id, 16mm Od, 1.4 - 1.6 mm Thick. For CR80 & CR125 cylinder heads. Used on front & rear hubs. Actual stud color may vary, i.e. gold, silver or black. 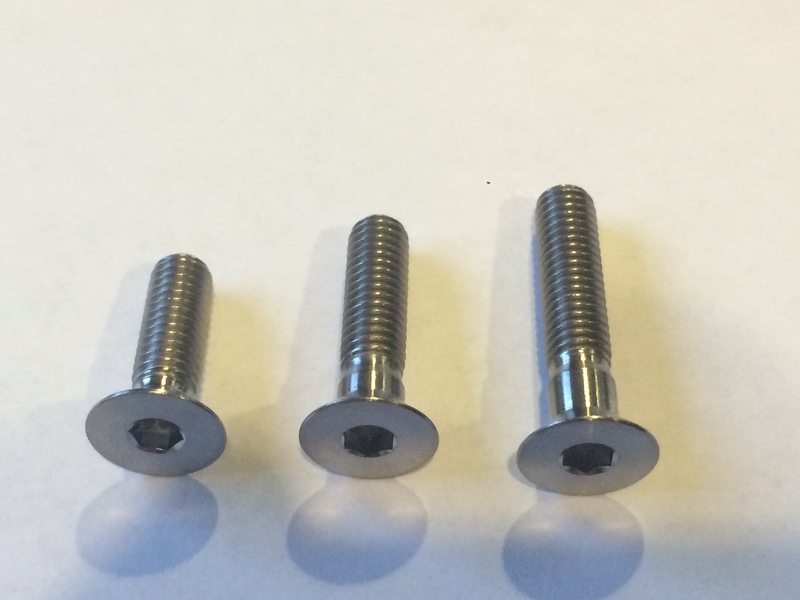 Metric, Black Oxide, Class 12.9 Alloy Socket Head Cap Screw. High quality, Grade 5, ultra lightweight titanium hardware. 47% lighter than steel, Corrosion resistant, Reduce overall weight, Performance gain from less rotating mass, increasing acceleration. 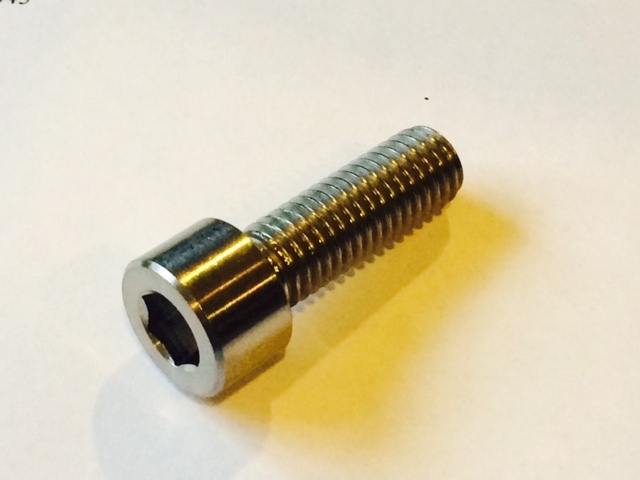 Fits any kart that has 8mm threaded bolt holes in the bearing cassette. High quality, Grade 5, ultra lightweight titanium hardware. 47% lighter than steel, Corrosion resistant, Reduce overall weight. High quality, Grade 5, ultra lightweight titanium hardware. 47% lighter than steel, Corrosion resistant, Reduce overall weight. High quality, Grade 5, ultra lightweight titanium hardware. 47% lighter than steel, Corrosion resistant, Reduce overall weight. Fits most single motor mount clamps.